At some point we are all strapped with not too much money. Many times we feel like we cannot feasibly get a new computer. The good thing is we can get a new computer on a budget. 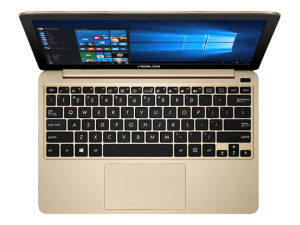 Coming is at $200USD, the Asus VivoBook E200 11.6-inch laptop can at least hold us over until we can sell enough or earn enough to upgrade to a bigger player in the laptop world. 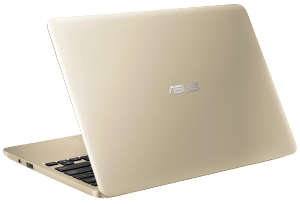 The Asus VivoBook E200 is the successor to the popular Asus X25TA. The main competitors for this notebook are the HP Stream 11 and the Lenovo 100S. Now let’s get into the specs! You will find that the Asus E200 comes with an Intel Atom X5-Z8300, 2GB of RAM, 11.6-inch HD display with a 1366 x 768p and 32GB of eMMC storage. This laptop sells for $199.99USD. As a bonus you get a full year of Office 365. The design of this notebook looks more expensive than it really is. On the outside you have this dark blue plastic finish, the bottom is also made of the same plastic finish and two bottom-facing speaker. This laptop is nice and thin and weighs in a 2.11 pounds, and its thickest point is 0.68-inches. It has a mediocre 480p webcam located on the top bezel. The interior of this notebook looks pretty as well with the two-tone finish and that dark blue and black on the panel. 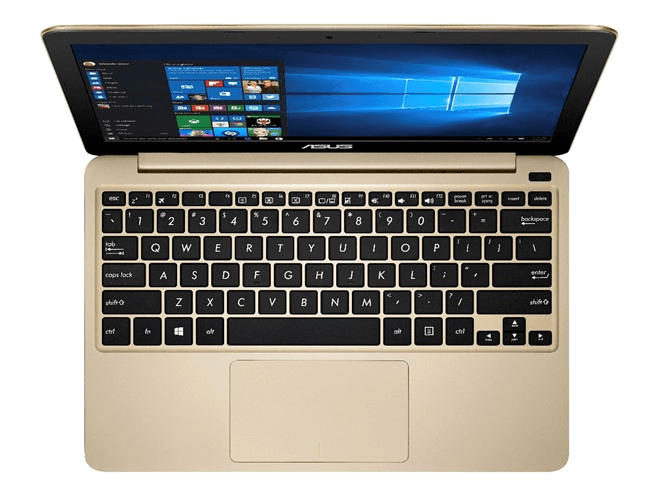 Overall this is a very good looking laptop at this budgeted price point. On the left side of this little notebook you will find the charging port, a microSD card slot, micro HDMI and a USB 3.0. Turning it around a looking on the right side you will only find the headset/microphone combo jack and a USB 2.0. On the front there are three LEDs: a power status indicator, a charge status indicator and the CAPS lock LED indicator. 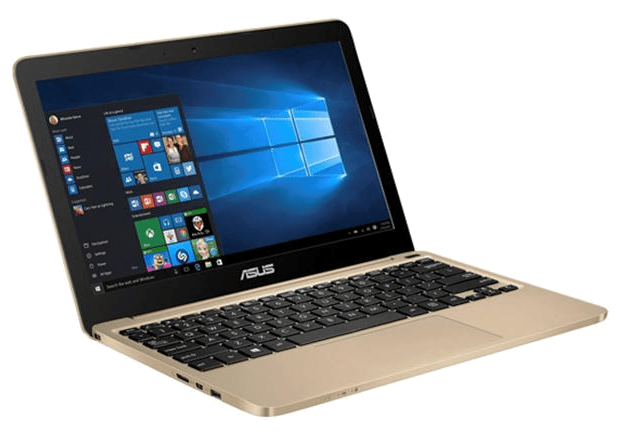 The Intel Atom X5-Z8300 is a low powered Quad Core chip that has enough power to support light duty activities like web browsing and running Microsoft Office applications. This does however have more power that the Intel Celeron N3050 during multi-core performance. While loading heavy content pages like national news sites like CNN or sports pages like ESPN, the load time is pretty slow, somewhere between 10-15 seconds to load all content, which isn’t super terrible considering how many images, links and video are embedded into these homepages, but, it’s still slow. Overall for light duty school type of word processing and Office applications it moves along without any hiccups. Out of the box the 32GB eMMC actually has about 80.2 GB free for your programs and documents. The read speeds are pretty quick at 152.8 MB/s, but low write speeds of 82.66 MB/s. The large button-less trackpad on this notebook is smooth like butter. Two-finger scrolling, multi-touch gestures were all on target. This is probably the best of the bunch amongst the Stream 11 and Lenovo 100S. Your typing experience with this keyboard will suffice. The feedback from the keys is a bit uncomfortable, but at 1.6mm the key travel is good. Again put against the Lenovo 100S and the HP Stream 11, the HP is an overall better keyboard for these budget notebooks. This note budget laptop is rocking the 11.6-inch HD display with a resolution of 1366 x 768p. The color accuracy is poor, but should be expected with these budget notebooks. The sRGB coverage came in at 57% and the AdobeRGB coverage was scored at 42%. Video games are actually pretty good for a TN panel, but since it’s a glossy screen is throws back a ton of reflection. If you want an anti-glare screen you’re better off with the HP Stream 11 or Lenovo 100S. During gaming you’re going to get about 28-35 frames per second, and for a low range PC that’s really good. The speaker performance on this notebook is flat out terrible. The two bottom-facing speakers are tiny and the sound quality sounds much muffled. 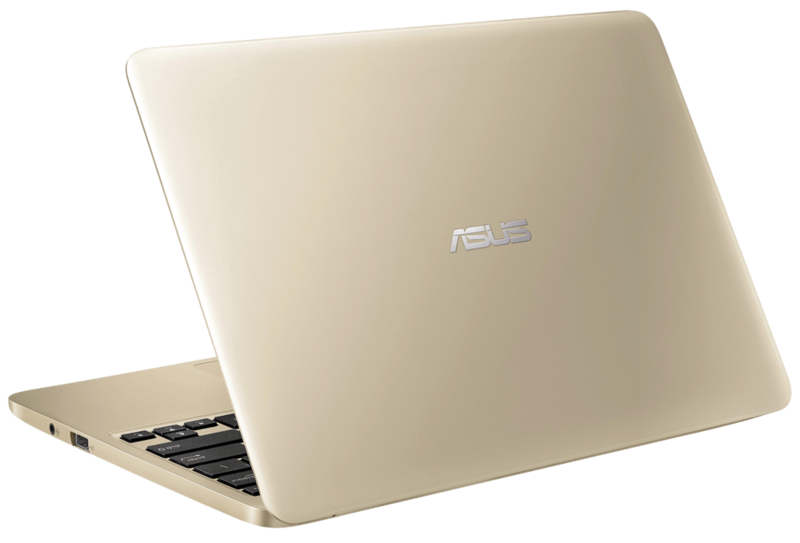 Had Asus either moved them to the side or top, they probably could have helped this little laptop out quite a bit. Battery performance from the two-cell 32-hour battery pack yields about 10.5 – 11 hours on a full charge with medium screen brightness. Do keep in mind this is with casual usage like web browsing, word processing, and occasional video streaming. Thanks to the Intel Atom chip we were able to get these impressive stats. Looking to sell your Asus laptop? 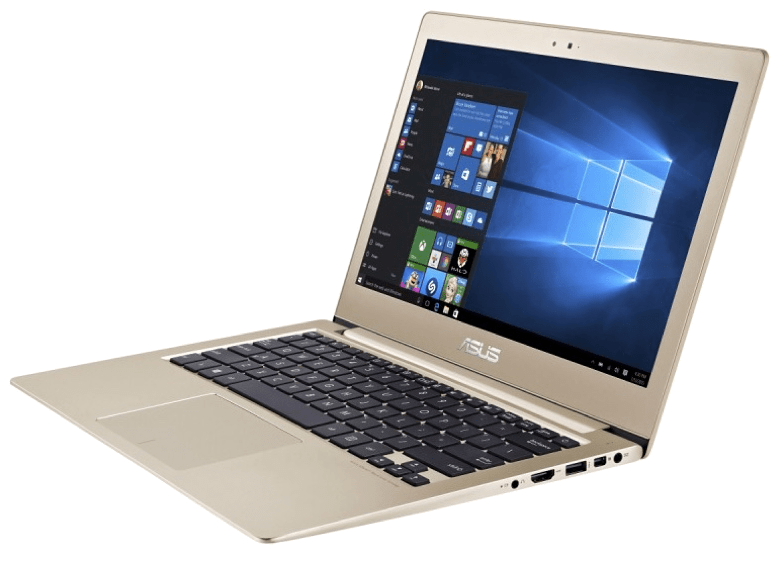 We buy laptops, tablets, smartphones and other electronic devices and help you get money to put towards the new computer! 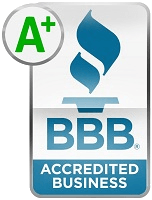 Get a quote on our site and see how much your laptop is worth.